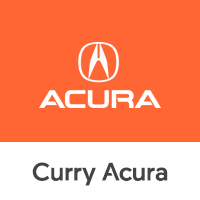 Curry Acura is your destination for Genuine OEM Acura auto parts at our Scarsdale dealership in Westchester County. At Curry Acura in Scarsdale, we are readily equipped with a complete inventory of genuine Acura auto parts. Westchester County customers visit our dealership for the expertise of our car parts staff and monthly Acura car part specials. To place your order today, simply use the order form to your right. If you would like to speak to a member of our parts center, do not hesitate to contact us at . For complex part replacements and installation, visit Curry Acura’s service center. Our skilled auto technicians will repair your vehicle back to the day it was new and get it ready for the open road. While you’re here, be sure to check out our new Acura and used car inventory as well. Curry Acura provides you with everyday low prices on all of our vehicles. Make our greater Westchester Acura dealership your first stop when searching for a new or used car!